Adam J Purcell, Andy Simpkins and Keith Dunn sit down, pyjamaed, in front of the 2005 Doctor Who festive special, The Christmas Invasion, and spout our usual nonsense! BBC: Doctor Who – The Christmas Invasion. Wikipedia: Doctor Who – The Christmas Invasion. 02:55 — Doctor Who Roundup: New guest stars and deaths. 04:58 — Primeval: Canadian spin-off cast and director details. 06:30 — BBC America: Two new ‘genre’ series being developed. 07:55 — Doctor Who Merchandise: Amy Pond doll, Minister of Chance now free and charity book – Behind the Sofa. 11:21 — Dead: Artists Ralph McQuarrie and Moebius. 12:23 – Things in Five Words. 13:49 – John Carter [of Mars] and the Crawley IMAX. 25:41 – Things in Five Words. 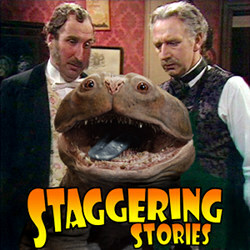 29:06 – Jago and Litefoot: Series One. 39:56 – Just a Minute. 71:25 – Farewell for this podcast! 72:30 — End theme, disclaimer, copyright, etc. Behind the Sofa charity Doctor Who book. Wikipedia: Jean Giraud (aka Mœbius). 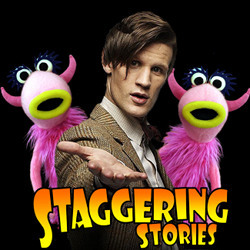 WordPress: The Doctor Who Archives Podcast. Podcast Awards Email Address (brandon.simpsons@tiscali.co.uk). Adam J Purcell, Andy Simpkins and Keith Dunn sit down, smiling, in front of the Babylon 5 second season première episode, Points of Departure, and spout our usual nonsense! The Lurker’s Guide to Babylon 5: Points of Departure. 02:05 — Doctor Who: Filming starts up for 14 new episodes. 03:52 — J.K. Rowling: New ‘adult’ book coming. 04:43 — Doctor Who (ish): Sophie Aldred takes David Tennant as her companion. 05:59 — Dirk Gently: Returns for three new episodes on BBC Four. 07:10 — Dead: Peter Halliday. 08:31 — Benedict Cumberbatch: Star Trek photos. 10:07 — Dredd: Karl Urban does his Dredd voice. 10:45 — Doctor Who: Benedict Cumberbatch as the new Master? 12:16 — Eternal Law: DEAD! 13:00 — Babylon 5: Crumbly’s nightmares! 14:31 – Doctor Who: The Silent Stars Go By. 24:50 – Two Minute Review: The First Surrey Steampunk Convivial. 30:22 – The Muppets (2011 film). 40:24 – Just a Minute. 73:53 – Farewell for this podcast! 74:45 — End theme, disclaimer, copyright, etc. YouTube: Happy 35th Birthday 2000 AD. Wikipedia: Doctor Who – The Silent Stars Go By. Facebook Event: The First Surrey Steampunk Convivial. Epsom Guardian: ‘Steampunks in Surrey’. Adrian’s Feedback Link: Crunchyroll – Steingate. Adrian’s Feedback Link: DC Universe Online MMO. Adrian’s Feedback Link: Darth Palgueis. Adrian’s Feedback Link: Amazon.com – Star Wars books. Adrian’s Feedback Link: YouTube – Red Letter Phantom Menace review. Adrian’s Feedback Link: IMDB – Sapphire and Steel. Adrian’s Feedback Link: Rotten Tomatoes – Time Bandits. 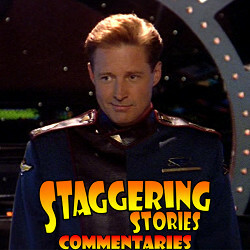 Adrian’s Feedback Link: All Star Trek episodes. Adrian’s Feedback Link: DC Comics – Kingdom Come. Adrian’s Feedback Link: The Hunger Games. Adrian’s Feedback Link: Doctor Who Cast. Adrian’s Feedback Link: New Who Podcast. Voyagers in the TARDIS Podcast.